I recently started research trying to find evidence of female doctors in the 1800s on the Indian Reservations and was fascinated to learn that the first Native American doctor on a reservation was a woman—Susan LaFlesche Picotte. girls, on the Omaha Reservation, Nebraska. Her father, Joseph LaFlesche, was chief of the tribe and known as Iron Eye. Her mother, Mary Gale, was the daughter of an Army surgeon and understood both English and French, yet she refused to speak anything other than Omaha. Iron Eye, on the other hand, saw the need for Indians to assimilate into the white man’s culture and encouraged his daughters in their education. Susan was therefore sent to the reservation mission school—a boarding school run by Presbyterians. She would never receive a native name nor the tattoos of her tribe. As Susan grew up, she became aware of the white man’s treatment of her people. She saw a woman die despite four calls to the local doctor who never came. Her own father lost a leg because of an untreated infection, and her parents lost a son in infancy. These incidents no doubt encouraged her on her path. At age fourteen, she was sent to school in New Jersey, and from there went on to the Hampton Institute in Virginia, originally founded for the education of former slaves. 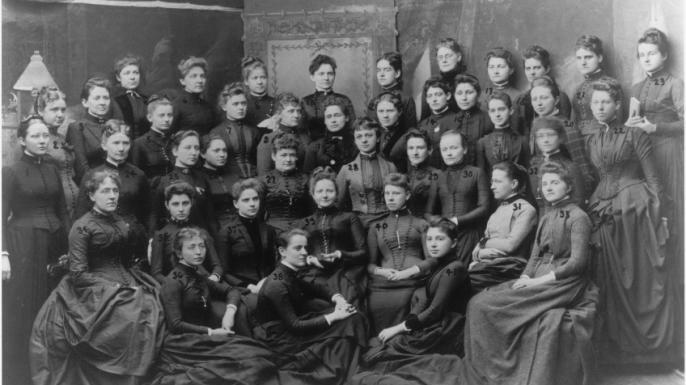 By 1886, Susan had decided to go on to medical school and was accepted at the Woman’s Medical College of Pennsylvania. Help in paying for her studies was organized by a family friend with connections to many reform organizations. The Connecticut Indian Association would continue to support Susan in numerous ways throughout her career. At a time when it was believed women had smaller brains than men and were therefore unsuited to advanced studies, and that the stress of such studies would impair their ability to have children, Susan faced more hurdles as a female than she did as a Native American. 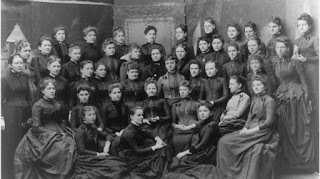 But at the WMCP, she graduated top of her class of thirty-six in 1889, and returned to the Omaha reservation. There, unable to become the reservation doctor, she became the doctor for the Indian school. However, with the closest doctor some eighteen miles away, Susan inherited some twelve hundred patients in an area of about 1,350 square miles. In 1894, while caring for her mother and subsequently her sister’s husband, she met Henry Picotte, a Sioux, who came to help on his brother’s farm. The couple married in 1894 and eventually had two sons. While Henry had a happy and loving disposition, he was also an alcoholic and died in 1905, with complications of tuberculosis. Susan would go on to fight against alcoholism on the reservation as well as for the rights of Native Americans. When her sons inherited land they were unable to claim, she fought government agencies until the boys received their rightful inheritance. These battles, combined with her ten-hour workdays and travels through sub-zero weather to her patients, eventually took their toll on her health. She passed away aged just fifty in 1915. 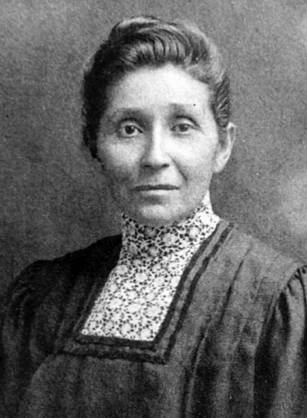 Susan LaFlesche Picotte had become the first Native American doctor thirty-one years before women could vote and thirty-five years before Native Americans could become U.S. citizens. Andrea, thank you for bringing her to our attention. I plan on digging more into her life. Lovely article! What a great post, Andrea. I'd never heard of her before today. Thanks for sharing! Thanks Carmen. I thought she was a real 'find' and I had never heard of her so thought y'all would be interested here. Kristy. it was my pleasure to 'uncover' her and bring her to a wider audience! Thank you for a wonderful post honoring a wonderful lady. What an inspiration. Thank you Gini. She was pretty remarkable, wasn't she? Sometimes someone comes along and defies all limitations. I'm so glad you brought her to light. I'd never heard of her either and why not one wonders. Interesting that being a woman even more an obstacle than being a native American. Patti, I wonder if we forget how LOW and useless/helpless women were considered right up to the '80s or so. I say the 80s because even in the 70s women weren't allowed in the marathon for running for heaven's sake. We were property for a long time! 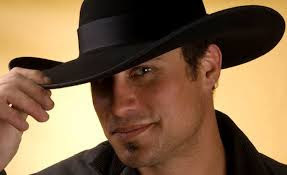 I'm waiting for women bull riders!! Thank you for this wonderful piece of history!!! I Love hearing/reading about women and especially Native American success stories. I am very proud of my Native American heritage!!! This was a wonderful article. Very interesting article. She was a good example of what Natives were capable of. Andi, What a sad and beautiful post.Such perseverance and her do-it attitude carried her into history. Thanks you for relating Susan's story.